The Offshore Academy’s, Hugh Brayshaw is proud to welcome on-board high pressure pump specialists KAMAT as an official partner to his 2017 La Solitaire URGO le Figaro campaign starting from Bordeaux, France on the 4th of June. As specialists in high pressure applications KAMAT develop and produce complex high pressure pump systems for multiple industrial applications, Jan Sprakel, Managing Director of KAMAT commented “Sponsoring Hugh is a great fit for us as a company: KAMAT uses the environmentally friendly power of pure water at high pressure to do our job, whilst Hugh uses the force of the wind to race over the seas; both instances involve water, high pressure situations, requiring hi-tech people and businesses pushing boundaries further every day. With under three weeks to the start of the Solitaire Hugh Brayshaw is in final preparations and excited about the race and partnership: “It’s great to have KAMAT on-board my boat Offshore Academy, supporting my campaign. This is my second Solitaire and having the backing of KAMAT along with the support of The Offshore Academy is a huge boost to my confidence. I’m looking forward to Bordeaux I’ve heard the welcome is incredible, the racing will be as intense as ever, with lots of great names but none the less I am looking for a good step up the rankings from last year – my objective for the race. 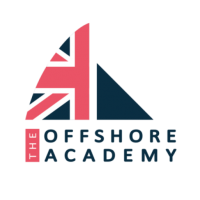 Charles Darbyshire, Director of The Offshore Academy commented “It’s great to have a high tech business such as KAMAT join the Academy’s family of sponsors – their commitment to Hugh’s campaign just goes to show the draw of sailing for companies looking for a promotional platform that can hit a wide range of corporate objectives; from inspiring staff & clients to widening awareness of a brand. I’m pleased for Hugh too, he’s a young and talented sailor, and this support is well deserved. He will carry The Offshore Academy and KAMAT name around the course, building on his experiences of his rookie season last year, and undoubtedly make a steady improvement.